Almighty God, who dost hold us to account for the use of all our powers and privileges: Guide, we pray thee, the people of these United States in the election of their rulers and representatives; that by wise legislation and faithful administration the rights of all may be protected, and our nation be enabled to fulfil thy purposes; through Jesus Christ our Lord. Amen. 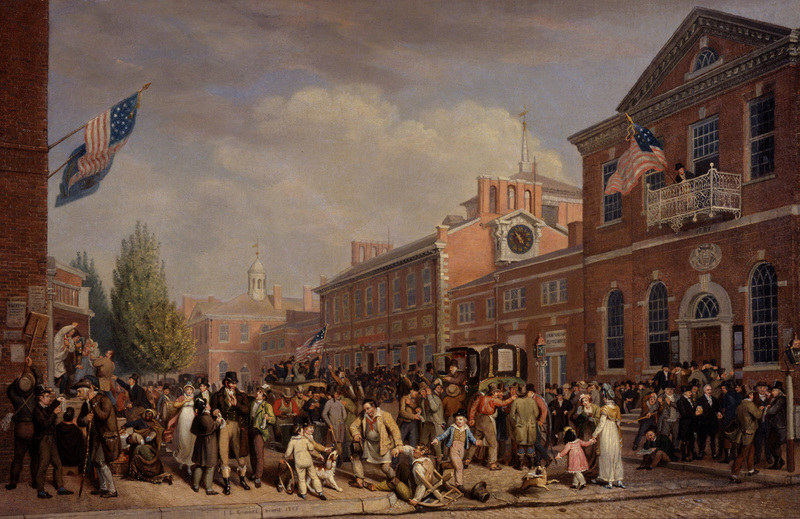 Election Day 1815 by John Lewis Krimmel (1786–1821).